Eyelash extensions are a commitment, even if you plan to only get them once for a special event or occasion. You pay a good amount of money, lay in a chair for more than an hour and walk out looking like the prettiest version of yourself. 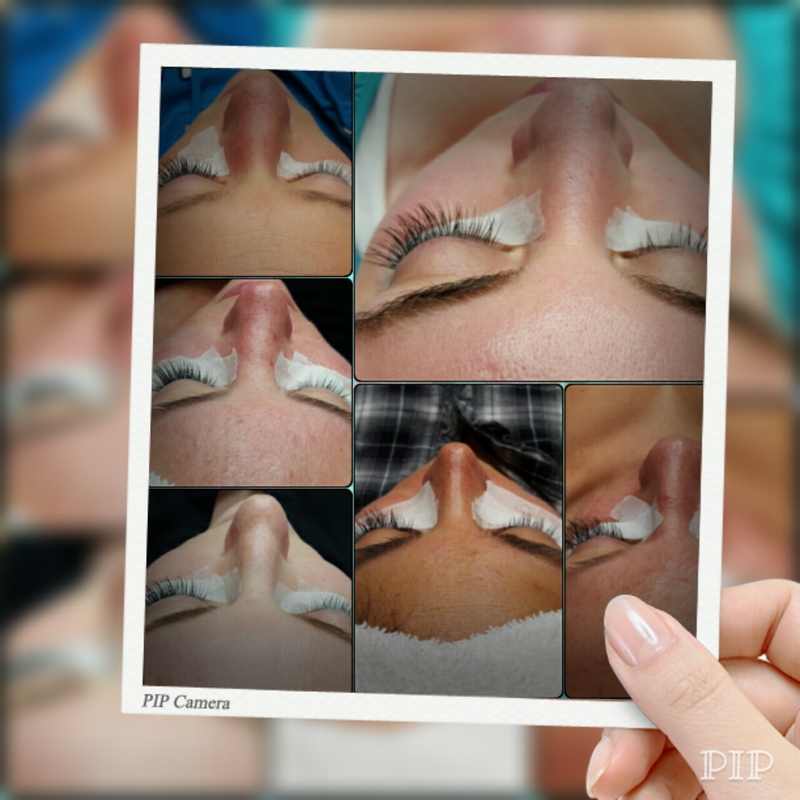 Whether you plan to come back in a 2-3-weeks for a fill or not, you want to keep those lashes looking beautiful, natural and healthy. Even the best eyelash extensions can be short lived and even destructive to your natural lashes if you aren’t taking care of them. The good news is that taking good care of your eyelash extensions is very easy – and rewarding. By taking care of your extensions you can make them last longer, look prettier, and protect the growth of your natural eyelashes. Show up to your appointment on time, with all your eye makeup (lid, lashes and even below your eyes) carefully removed. Starting with clean lashes is a critical step for making sure your lash extensions go on correctly and stick appropriately for the longest possible lifespan. Not to mention your lash technician should not remove the makeup for you, meaning less time for lash application. Make sure you have used the bathroom and taken a drink, and then get comfortable for the long haul. The less you move during the appointment the more likely you are to get clean and even lash application. For the first 24-48 hours, the glue for your extensions will be curing, meaning they are still setting up. During this time, it is important to keep them dry, and as untouched as possible. The adhesive used for eyelash extensions needs a full 24 hours to set, but depending on the type of glue used, it may take up to 48 hours, so you'll want to ask your technician for the specifics. To be safe, avoid excessive heat for the first couple of days as well—that includes saunas and hot yoga classes, where you could work up a sweat. Once you can get them wet, make sure to brush through them after washing your face or getting out of the shower so that they keep their shape. This also prevents any crisscrossing or wonky-looking lashes, use a disposable mascara wand. Close one eye, place the disposable mascara wand on top of your lashes, then roll the brush over lashes to keep them defined. Avoid applying makeup, washing your eye area, and even the steam from the shower. Try your best to sleep on your back, because sometimes rubbing your eyes into your pillow can loosen fresh lashes and cause them to fall out prematurely. This might sound like a crazy request (unless you already sleep on your back), but it's important directly following your application, since the glue takes a while to dry fully and you'll otherwise get weird kinks. After a night or two, resume your normal sleeping position. Talk to your lash technician about this curing period and what she suggests to let your lashes set up safely. Give your lashes a little TLC. When removing your eye makeup (liner, shadow, etc. ), gently go over the area with a cleansing wipe instead of placing cotton pads or puffs over your lids—not only could you eventually weaken the extensions and mess them up, the cotton fibers get stuck on lashes. (Not cute). Lash extensions typically last anywhere from 2-6-weeks, so during the tail end of their run, you may notice more fallout than usual. Don't panic, and resist the urge to tug at the remaining extensions as this could damage your natural lashes. If it gets unbearable, do not try to removing them yourself, please contact your lash extension specialist. Your eyelashes shed naturally, so when an extension looks out of place, avoid playing with it or twisting or pulling it off—you'll risk losing your natural lashes. Let them come out on their own, and use a disposable mascara wand to brush them back into place in the meantime. Makeup and beauty products are great and safe to use with eyelash extensions. Just be wary of products that rely on oil. Take a closer look at the ingredient list on the eye creams, makeup removers, and creme shadows you currently have in your arsenal—you'll want to take a break from anything that contains oil. Oil can break down some of the adhesives in the glue used for lash extensions, meaning they can twist and fall out before they are ready. When washing your face, use an oil-free cleanser and don’t scrub or pull at your lashes. If you snag the extensions on a cloth or cleanser pad it can pull out the extension and natural lash, tearing and damaging the eyelash follicle permanently! Just be gentle and careful. Realistically, your lashes will hold such a Bambi-like appearance that you won't even need mascara, but if you decide to wear it, apply the product only to the very tip since the formula could mess with the adhesive at the base of your lash line. Waterproof mascaras can be tenacious, and could end up in a few lost extensions (or even worse, your own lashes) if you get aggressive during the removal process. Don’t wait too long to get a fill. Some people take their time between appointments to save money, but towards the date of their fill the extensions have grown out and started to twist and pull on the natural lashes. They are more likely to snag or irritate you, meaning you’ll touch, scrub and pull them out much more, damaging your natural lashes. Go see a lash extension specialist to remove extensions if you don’t want a fill, or go get a regular fill to keep your lashes healthy and full.